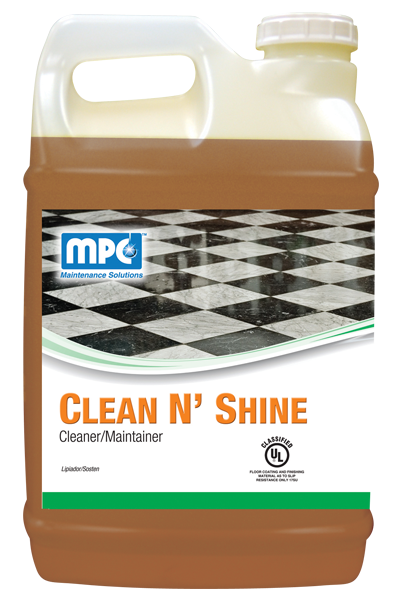 A cleaner/maintainer ideal for use on sealed wood for cleaning and buffing finishes to a brilliant shine. 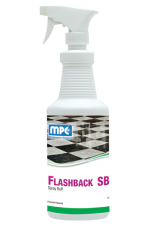 Provides superior cleaning power and can be used on any surface not harmed by water. Delivers excellent emulsifying and penetrating action in both hot and cold water. Cleans, polishes, and preserves. May be used for damp mopping, auto scrubbing, or heavy duty cleaning. FOR CLEANING WITHOUT BUFFING: Dust mop all flooring and remove gum and adhesives. Dilute product 2 ounces per gallon of cool water in the solution tank of the auto-scrubber or mop bucket. 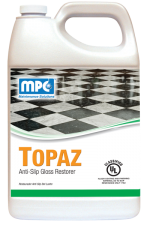 Auto-scrub or mop on all flooring using overlapping passes. If auto-scrubbing, dispense, agitate, and pick up the solution. Pick up any puddles with a clean damp mop. FOR CLEANING AND BUFFING: Dust mop all flooring and remove any gum or adhesives. 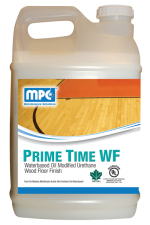 Dilute product 4 ounces per gallon of cool water in a mop bucket or auto-scrubber. Apply a thin, even coat on the surface. Do not pickup solution. Allow to dry. 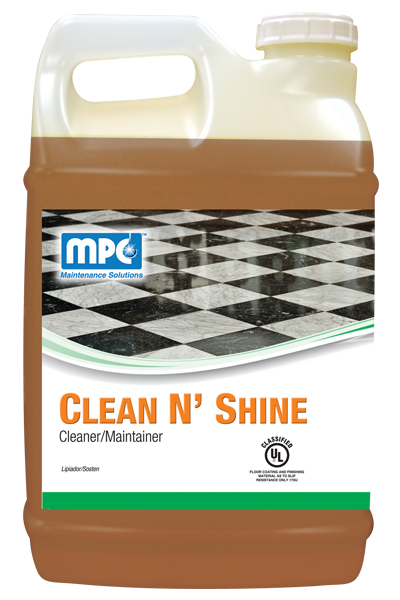 Buff all flooring with a polishing pad to restore the floor to the ultimate “wet look” shine. FOR HEAVY DUTY CLEANING: Add 8 ounces concentrate per gallon of water. Apply to surface, scrub, and rinse in the usual manner.